Ag student receives state coop..
MTSU students record for world.. It was March 3, 2011, and Dr. Sidney A. McPhee found himself addressing a grief-stricken assembly in Middle Tennessee State University’s Murphy Center, all mourning an almost unspeakable tragedy. “The anguish I feel cannot be adequately expressed,” McPhee, president of the University, said of the death of Tina Stewart, a Lady Raider basketball player. Stewart had died the day before, after an argument in her off-campus apartment with her roommate, who was also an MTSU student. A few days after the memorial service, McPhee reflected on the events with Dwight Lewis, editorial page editor of The Tennessean. In their conversation, an idea emerged for MTSU to teach and encourage non-violent conflict resolution as a core value. Later that month, McPhee appointed the President’s Task Force on Nonviolence and Conflict Resolution. The panel was charged with establishing a comprehensive and ongoing plan to encourage teaching, training, programming and research related to nonviolence and conflict resolution between students, faculty, staff, alumni and friends of MTSU. The task force, made up of faculty, staff and students, developed the “True Blue Pledge,” introduced at MTSU’s Convocation Ceremony on Sunday, Aug. 28, as well as a set of four core values. The task force also called for peaceful conflict-resolution tactics to be included in classroom lessons and orientation sessions. The task force’s work is being introduced to the campus this fall. McPhee asked Dr. Debra Sells, MTSU’s vice president for student affairs, to lead the task force. She said the group addressed difficulties some students seem to have in understanding how to deal with conflict, then brainstormed ways to address those skill deficits. “So often people come together in the wake of a tragedy, but all too soon the lessons learned are lost in the hurry of day-to-day life,” Sells said. Specifically, the task force was asked to recommend a curriculum to stimulate effective problem-solving and conflict resolution, teach civility in dispute resolution and promote a positive campus environment that celebrates diversity. After much discussion, task-force members concluded that an updated statement of commitment should serve as the foundation for the campuswide campaign. The new statement follows. “Honesty and Integrity—The notions of personal and academic honesty and integrity are central to the existence of the MTSU community. All members of the community will strive to achieve and maintain the highest standards of academic achievement in the classroom and personal and social responsibility on- and off-campus. “Respect for Diversity—The MTSU community is composed of individuals representing different races, ethnicities, sexual orientations, cultures, and ways of thinking. We respect individual differences and unique perspectives and acknowledge our commonalities. “Engagement in the Community—All members of the community are encouraged to participate in educationally purposeful activities that support and enhance the MTSU experience. Active involvement and personal investment in the classroom and throughout the community are hallmarks of an engaged citizen. including a teaching module in University 1010 classes each semester, beginning with fall 2011, that focuses on civility and nonviolent conflict. MTSU’s provost, Dr. Brad Bartel, and McPhee encouraged campuswide participation by faculty and staff during new-faculty orientation and the fall faculty meeting just before classes began Aug. 27. 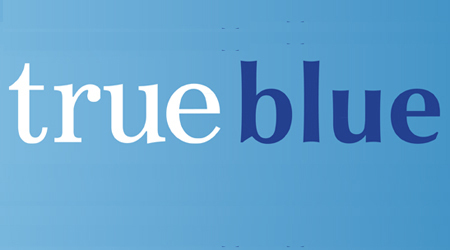 “True Blue” also is the focus of a comprehensive marketing plan rolling out campuswide this fall. A campus-produced video has been produced, featuring members of the University community reading lines of the pledge, and a website has been launched at www.mtsu.edu/trueblue. Sells said she believes the task force has created a plan to infuse the campus with a culture that values nonviolent conflict resolution. SGA President Poynter, also a member of the task force, said he was especially pleased that the statement of community standards and expectations, which was developed several years ago, but largely lost to active campus dialogue, was revised to highlight the four most important issues: honesty and integrity, diversity, involvement, and commitment to nonviolence. “And the True Blue Pledge was created as the introduction for new students, a way to help them understand the significant commitment they were making as they became a part of the MTSU community,” Poynter said.